How do I make a booking to dive with TDC? We take all of our bookings via email. All we need from you are details of your trip (arrival and departure dates and times etc.) and we will communicate with you directly to discuss your trip and book you in for diving. Is a deposit required to secure my booking with TDC? We do not usually require a deposit to book you in for diving, however if you are booking for a group ( >4 people), or during a busy period on the island, then we may ask for a small deposit to be paid directly to our bank account to secure your booking. If you would like to pay in advance for your dive trip, this is, of course, no problem at all, just let us know and we can send you the details. You can also pay in advance via PayPal with a 5% extra charge. Please Note; We do not accept cards when you are here on the island. We accept cash only, in Malaysian Ringgits. If you would like to pay in a foreign currency, this is also possible, with an additional charge of 3%. Do I need to be able to swim to learn how to dive? YES!! In order to complete the basic PADI Open Water Course (4 days), you are required to swim a minimum of 200m, without using floatation devices or touching the bottom, and also float unassisted for 10 minutes in water too deep to stand. If you are not 100% confident in swimming, you could choose to complete the PADI Scuba Diver Course (2 days), where you are only required to complete the 10 minute float. If you are not able to swim or float, you can still take part in diving, by completing a PADI ‘Discover Scuba Dive’ with one of our PADI Instructors. 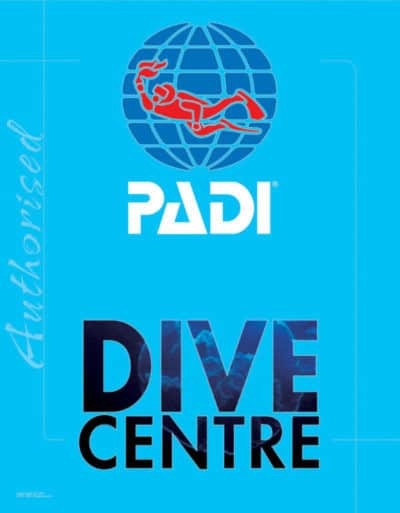 This is not a certification however it will give you a great taster for diving, and perhaps after a few swimming lessons at a local pool, you may be confident to complete a PADI Course. How is the diving day scheduled at TDC? Here at TDC, we try to accommodate all of our divers needs and requests as much as possible. We usually plan the days’ diving, the previous day, having spoken to the divers and discussed some options. Each day we dive at 9:30am, 11:30am and 3:30pm. These dives are based on a minimum of 2 divers for close by sites, and 4 divers for a trip to the outer islands. When possible, we always try to arrange a ‘double dive trip’ for the 9:30am and 11:30am dive slots. This gives us the opportunity to reach the further dive sites, such as Coral Island (based on a minimum of 4 divers). We leave the dive shop at 9:30am, and you will return at or before 1:30pm. TDC provide water onboard and snacks during your surface interval. If a member of our group does not dive, is it possible for them to join the boat for snorkelling? When is the best time for diving in Tioman? The season in Tioman runs from early February to mid November. During this time, the absolute best months for diving in Tioman, would be from March – June, when we see great visibility and the island is quieter in terms of visitor numbers. We are visiting as a family with small children. What are our options which will allow us to dive, but keep the children entertained? We often cater to families with young children. Usually we work on a case by case basis, depending on your unique needs. If your children would like to join the boat for example, this would be possible. We have childrens sized life jackets, and one of your party can stay with the children on the boat, whilst the other dives, taking turns to stay with the children. Just let us know your situation and we will try to accommodate you. What do I need to bring for diving? Just bring with you your swimming costume, swim shorts or bikini, a towel or sarong and for all certified divers, please remember to bring with you your certification card and/or log book so that we can check your dive certification before your dive. If you do not have your cert card or log book, just let us know in advance, with your Full Name (as it appears on your certification card, including any middle names), and your Date Of Birth. We can then check your cert online, before you even arrive on the island! Are TDC able to arrange packages including accommodation etc. during my visit to Tioman? Unfortunately, TDC are not able to arrange packages including accommodation and transport to the Tioman, however we have put together some information for you, about the various accommodation and transport options. Included under the ‘Accommodation’ and ‘How to Get To Tioman’ tabs are contact details, to help you make your bookings easily and directly. Do contact us by email if you require any extra information or advice, we will be happy to help you. Where should I stay in Tioman so that I can dive with TDC? 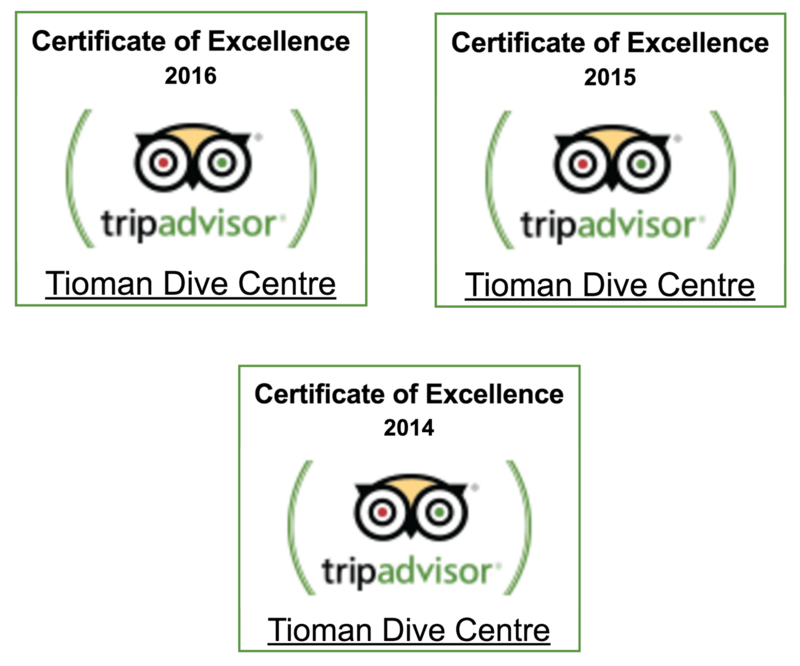 Tioman Dive Centre is based within The Swiss Cottage Resort in Tekek Village. If Swiss Cottage are fully booked, or is not suitable for you, there are a few other accommodation options close by the dive centre. For more information on accommodation, see our ‘Accommdoations’ tab. How do I find out the ferry times to Tioman and how do I make ferry bookings? BlueWater Ferries run the one and only ferry service to Tioman Island. Their main port on the mainland is Mersing, however they also operate from a ferry terminal 40-minutes drive north of Mersing, called Tanjung Gemok. The best and most reliable way to find out the ferry times is from BlueWater Ferries directly by calling them on +60 77 994 811. Just ask them for the specific dates that you are looking at. You may be able to book via telephone by giving them your name and a contact number. The cost of a one way ferry ticket to Tioman from Mersing is RM35. You can also book through a travel agent, such as the website http://www.tiomanferry.com/ however be aware that the price will be higher, as you are booking through an agent. This may be worth it for peace of mind, and ‘Tioman Ferry’ will send you an email link, as soon as the BlueWater schedule is released. Arriving by ferry, how do we get to TDC from the ferry jetty? If you are staying in Tekek Village, the ferry terminal is located in the heart of the village. There are taxis waiting as you walk out of the terminal building, and if you ask for Tioman Dive Centre, you should not pay any more than RM10 (depending on the number of people). Try to ask for ‘Budin’s Taxis’ as we are close to this company. If you prefer to walk, it only takes 10-15 minutes, and the road is flat. Just turn right, and walk straight down the road. You will pass ‘Cheers Chalets’ on your left hand side, and shortly after, you will see ‘Swiss Cottage’ on your right hand side. We are located at The Swiss Cottage Resort, right on the beach. Is there an ATM in Tioman? There is one ATM located in Tekek Village. 99% of the time, it is in perfect working order, however as you can imagine, it can take time to be re-filled after a particularly busy weekend, so do not rely on this for all of your money needs. Remember that we can accept a bank transfer or PayPal payment in advance if this is easier for you. If I am vegetarian, is it easy to find vege food on the island? There are a fair few restaurants in Tekek Village itself ranging from Malaysian, Chinese and Western. Some are better than others for vegetarian options, and if you ask any of the staff at the dive shop, we can point you in the right direction for your best choices. Is there reliable WiFi on the island? Being on an island, the WiFi here is not 100% reliable all of the time, however most resorts in Tekek offer WiFi and the local beach bistro also has WiFi available. As you are on holiday, we hope that this is not too much of a problem for you.